The Arizona Council of Human Service Providers is Arizona’s premier trade association representing the interest of behavioral health, substance abuse, child welfare and juvenile justice service agencies throughout Arizona. Our roots can be traced to March 8th, 1964 when the Arizona Council of Child Care Agencies was formed by nine administrators who needed an opportunity to meet and share common problems and concerns in providing residential care to children. In 1999, the Arizona Council of Centers for Children and Adults (ACCCA) merged with the Arizona Association of Behavioral Health Programs to form the Arizona Council of Human Service Providers (the Council) and the Arizona Foundation for Human Service Providers (the Foundation). While the Association specialized in issues related to the state’s behavioral health system and ACCCA focused primarily on child welfare and juvenile justice concerns, both organizations promoted the value of service delivery systems built on the foundation of locally owned and operated provider agencies. They also supported the continued development of quality service delivery systems by providing advocacy, education, technical assistance, training and information to the community-based agencies that comprised their memberships. 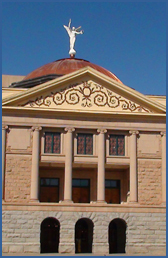 The Arizona Council of Human Service Providers is a 501 (c) (6) whose primary function is legislative and administrative advocacy and business operations. The Arizona Foundation for Human Service Providers is a 501 (c) (3) and provides support and education to the corporation. The Arizona Council of Human Service Providers Political Action Committee was created in July 2009 and is a “political organization” as defined in IRS Section 527(e)(1). The PAC goal is promote good citizenship through the personal and financial participation of our members in the elective process at the state level of government.